“Ancient trees are wisdom keepers. They hold within their bark and branch vast libraries of knowledge, history, and earth mysteries. They are fully willing to make these accessible to anyone who makes an effort to tune in to their language. Breathe in a sow rhythmic manner, and listen. Messages may come in a whisper or an exclamation. You may receive words, or likely some simple knowing will occur. Trees are renowned poets and givers of riddles, so do not expect exact answers. Cultivate a relationship with a tree near your home, one that you can visit often. Let your experience with this wise friend guide you in learning the language of trees. Once you learn this connection, you may find trees talking to you everywhere you go. Trees are ancient magical beings; they are an extension of Gaia; the embodiment of our Ancestors. As our wise Elders they should always be treated with reverence and respect. They graciously provide the oxygen we breathe and shelter from the elements. They are our record keepers, bearing witnesses to the shifts, changes and damage perpetrated upon the planet by civilization. Unfortunately trees are rarely seen or respected as the sacred beings that they are. Thousands are sacrificed without thought; all for the progression of humankind across this beautiful planet. Hundreds of thousands more for profit. Yet many of us just walk right by them, without a second thought… or a much deserved thank you, or even better: a hug of gratitude and an exchange of Love energy. Yes, I AM a tree hugger, and proud to say that my children are too. I can feel their energy; and you can too if you tune in. I can also see that the trees have an aura of pure white light surrounding each and every one… can you see it? Have you ever tried? It makes a wonderful gazing meditation. Did you know that Cedar trees will draw unwanted, toxic or negative energy out of our physical bodies for us without hesitation, drawing it down into the Earth for transmutation? 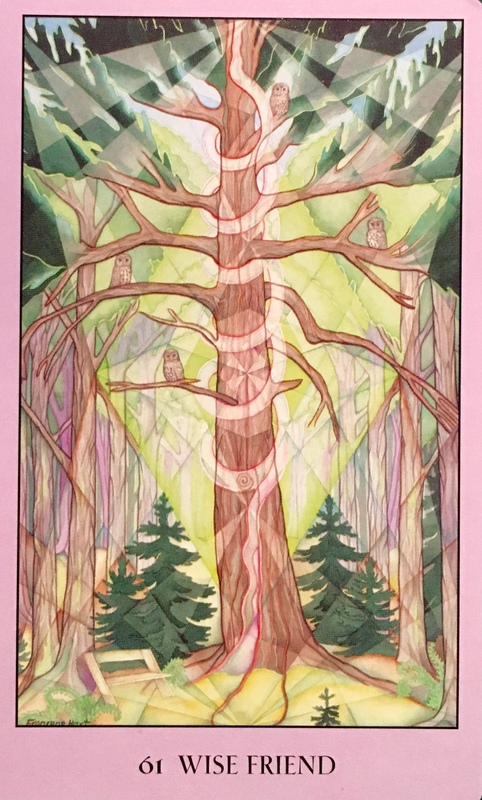 All you have to do is place your spine or your right hand against the trunk of the tree – asking for assistance and sending love, light and gratitude in return. Fir and pine trees will help you raise your vibration and your consciousness; their preferred method is to have you align your chakras from the front side of your body along the tree trunk… yes, a hug is perfect for this! Otherwise, your left hand will work too, always mindful of returning the Love. Each tree has an offering; be it wisdom, healing, protecting, uplifting, grounding, transmuting, awakening or enlightening. Some are portals to other realms; those of Elven and Faerie and other elementals. What can you discover about the trees in your geographical area? In a forest, in stillness, in reverence; there is magic to be found. They are all full of simple and profound magic that they are more than willing to share. And each of us has equal measure of Love and Light to share in return. Go find your tree and give it a big hug for me. Seek out its heartbeat; ask kindly that is share its secrets and take time to recognize it’s deep and beautiful Soul. Bless it with Love, surround it with Light and create a lasting relationship that will benefit you both.